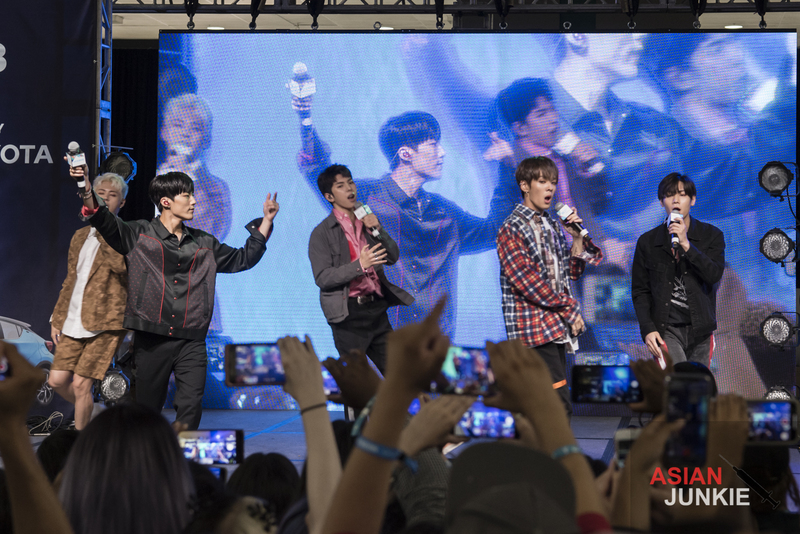 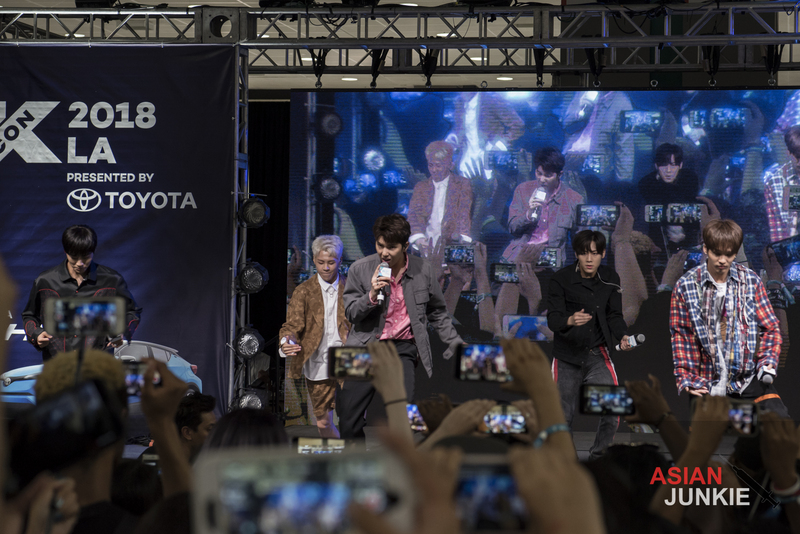 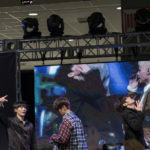 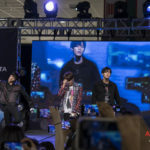 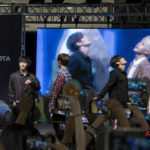 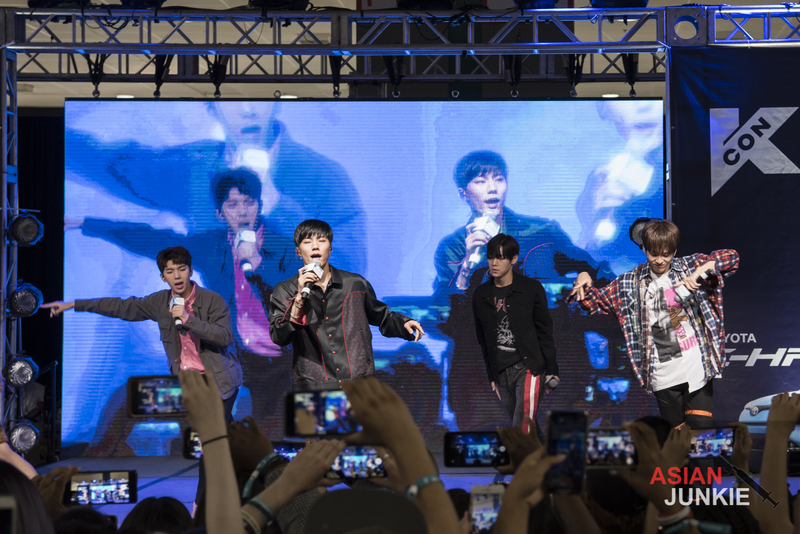 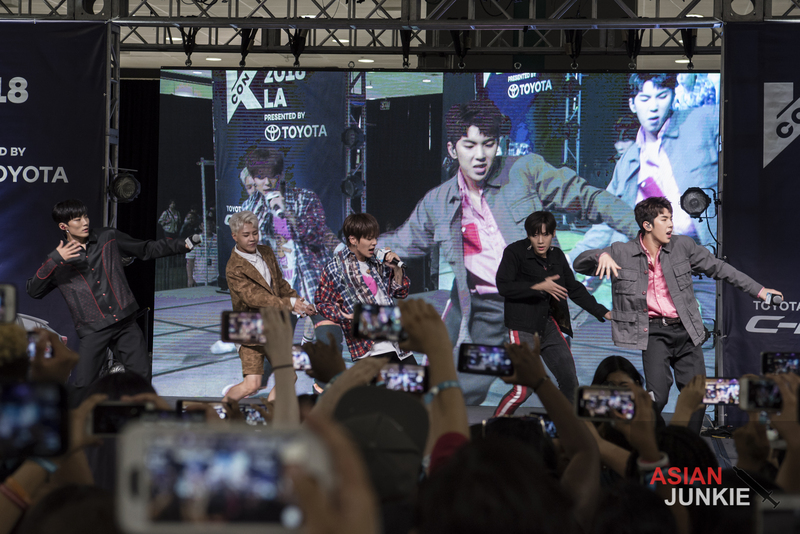 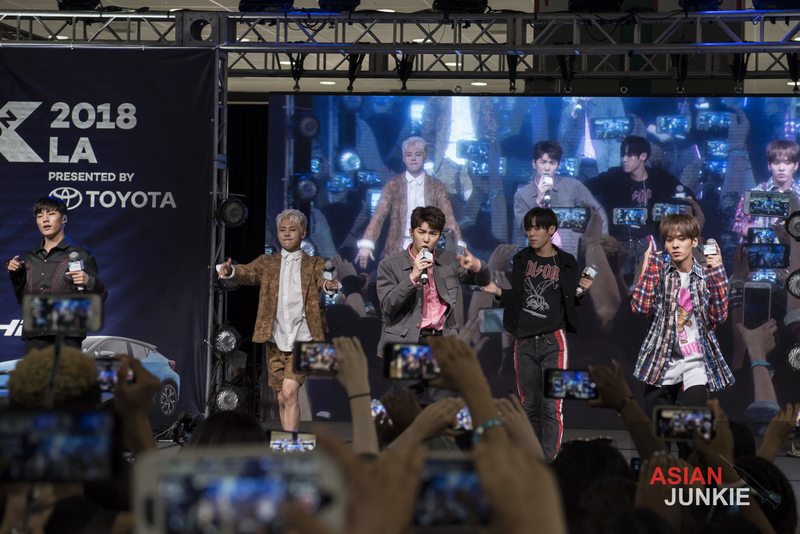 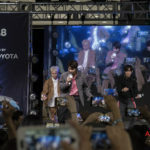 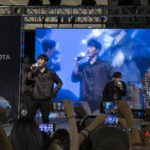 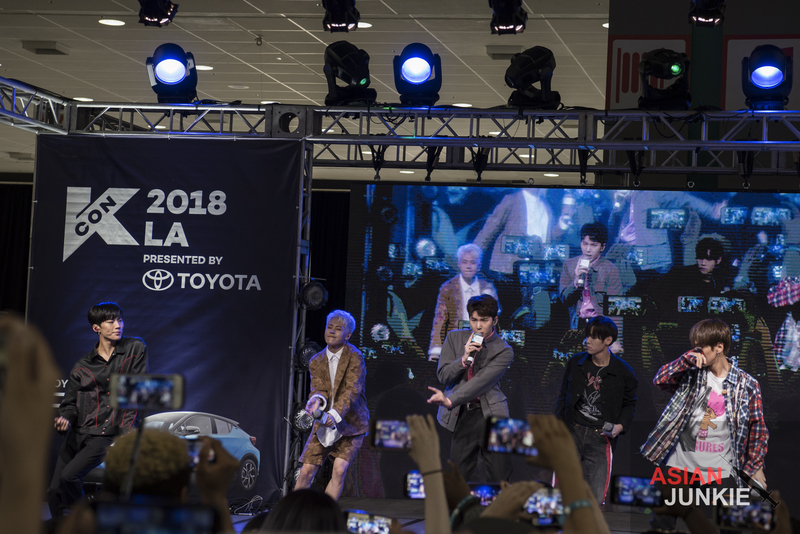 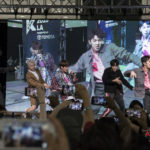 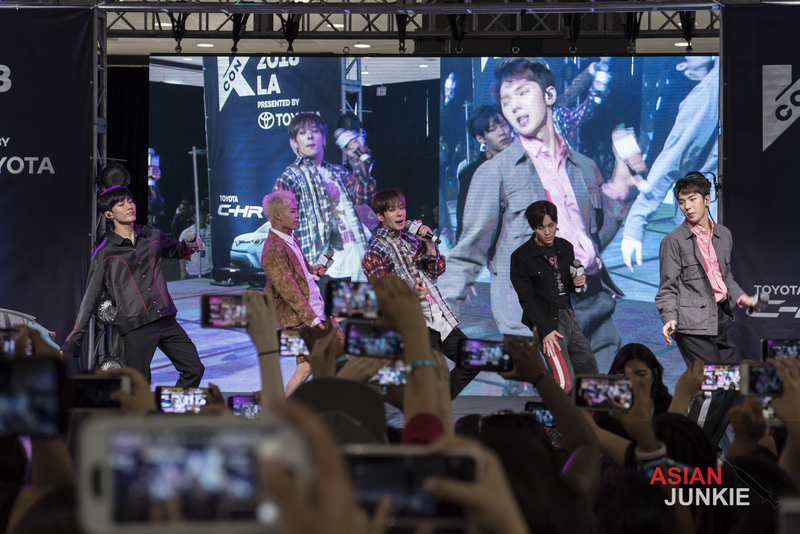 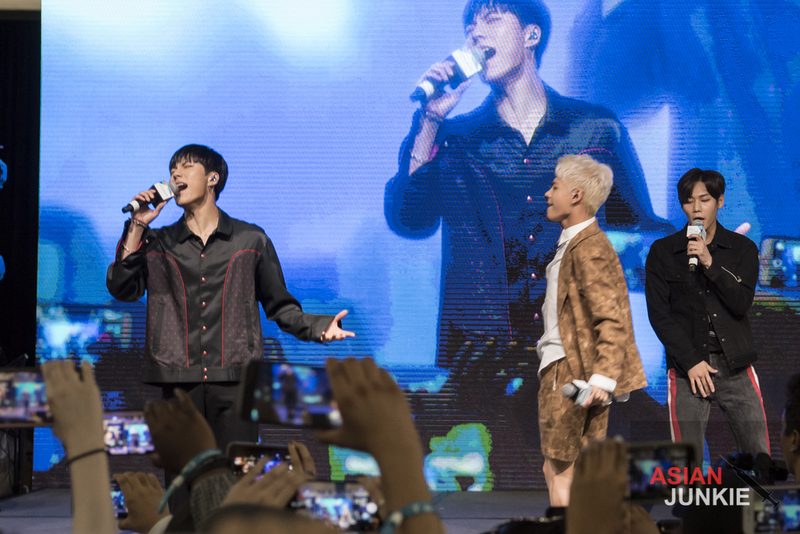 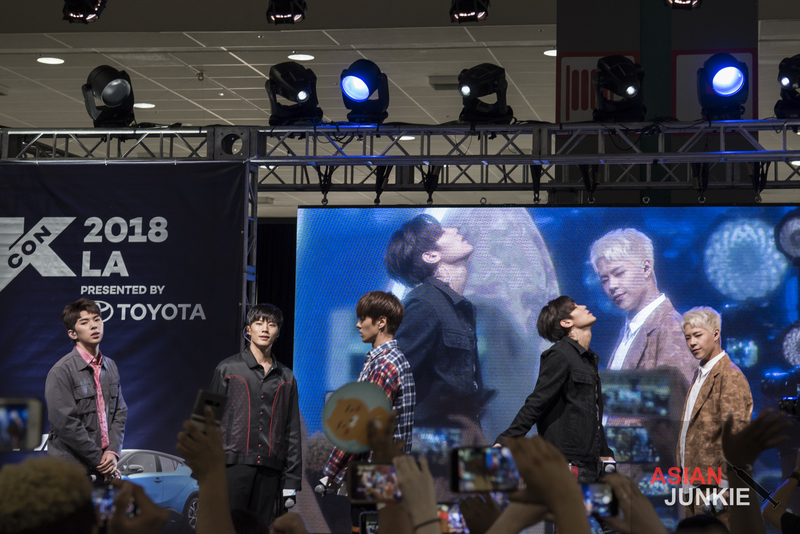 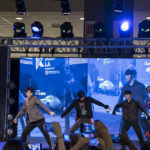 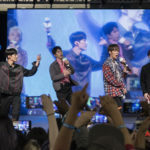 Out of all the new groups that hit KCON LA this year, only one had me screaming at the sky in excitement to see: IMFACT. 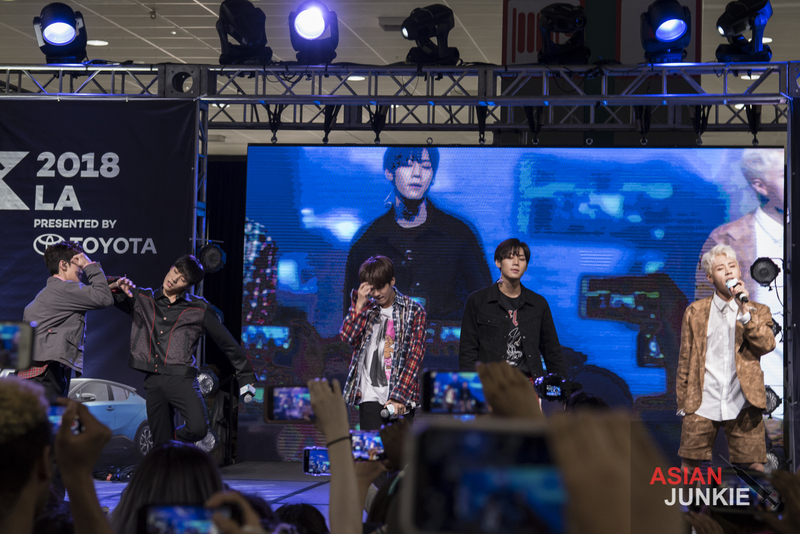 I’ve been watching IMFACT since debut when they hit the scene with fantastic classic latin freestyle beats and fun visuals. 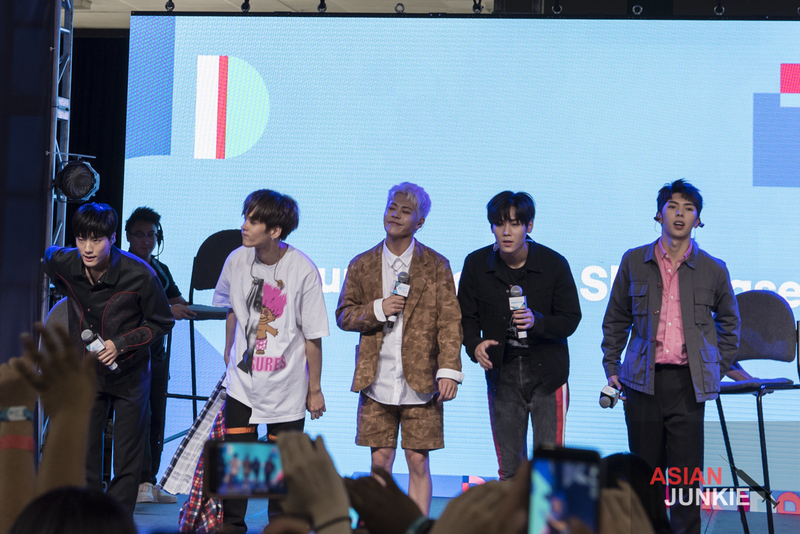 I honestly never thought I’d get to see them live. 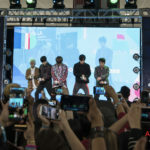 Unlike larger groups, who tend to find they way over to the US, the newer, smaller groups rarely make their way. 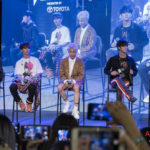 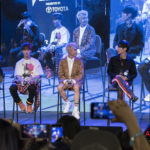 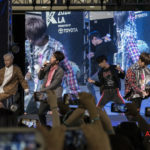 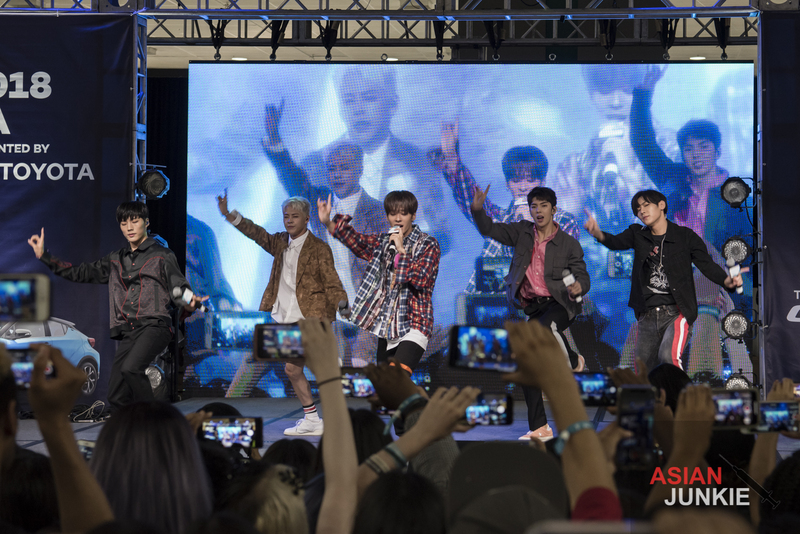 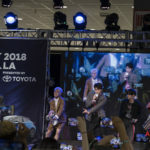 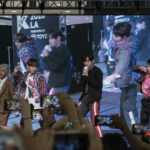 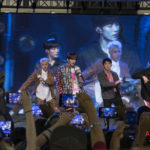 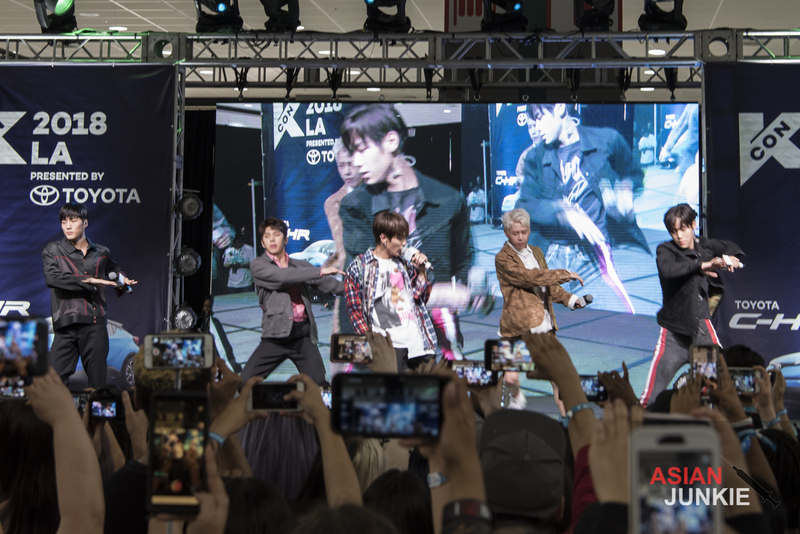 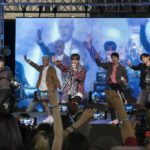 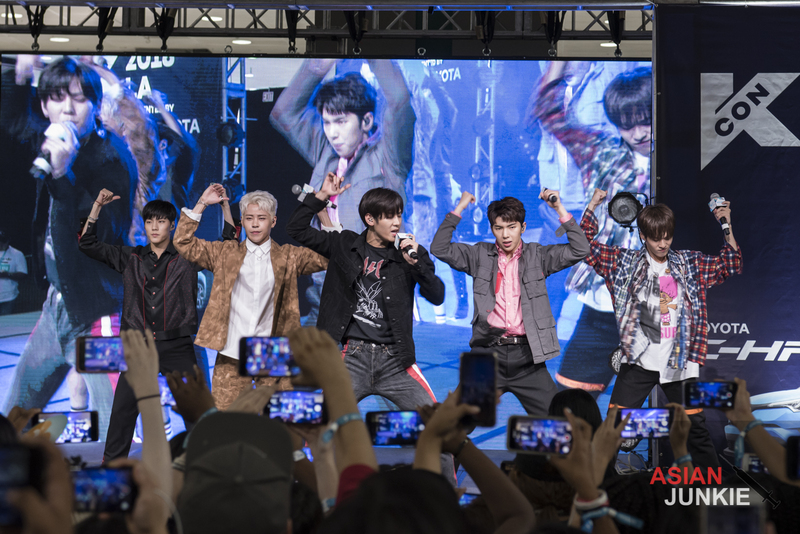 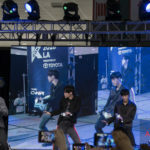 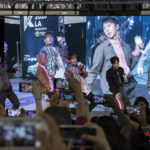 With KCON LA’s sudden need to bring a huge roster of performers and more than half being brand spanking new, This became such a huge opportunity for all of them to get much needed exposure and to experience international fans up close and personal. 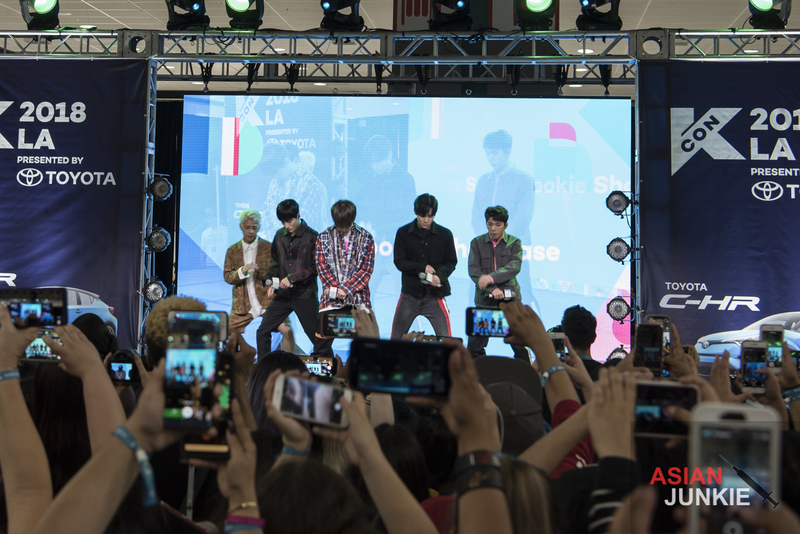 On Saturday, the Super Rookie Showcase in the middle of the convention floor drew the biggest crowd I’ve ever seen on that stage. 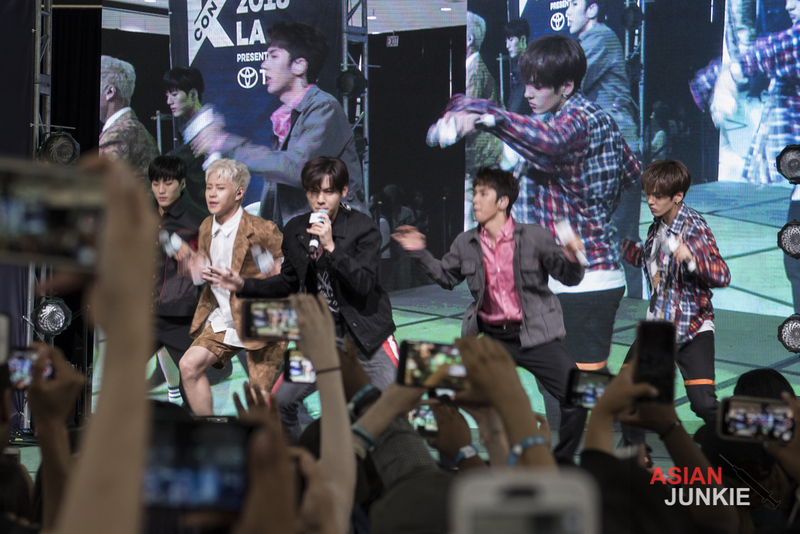 Right after the dance competition, Esna stepped out on stage and introduced IMFACT. 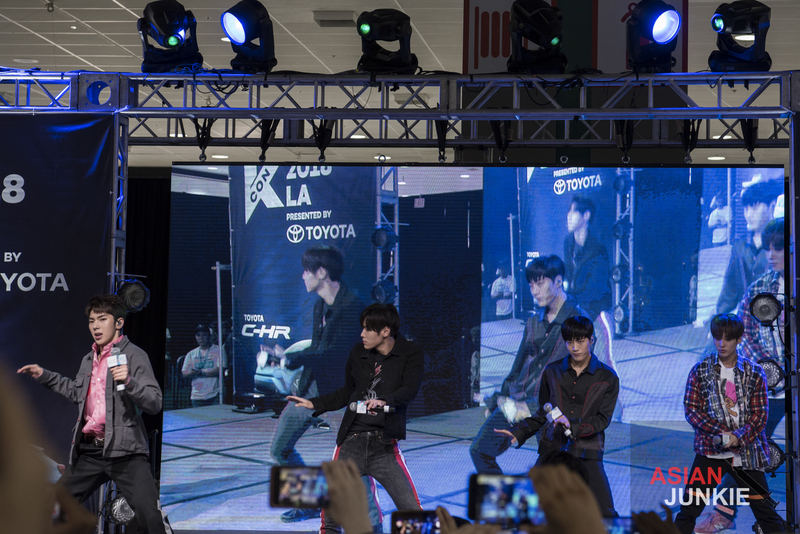 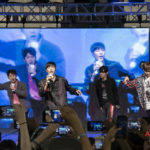 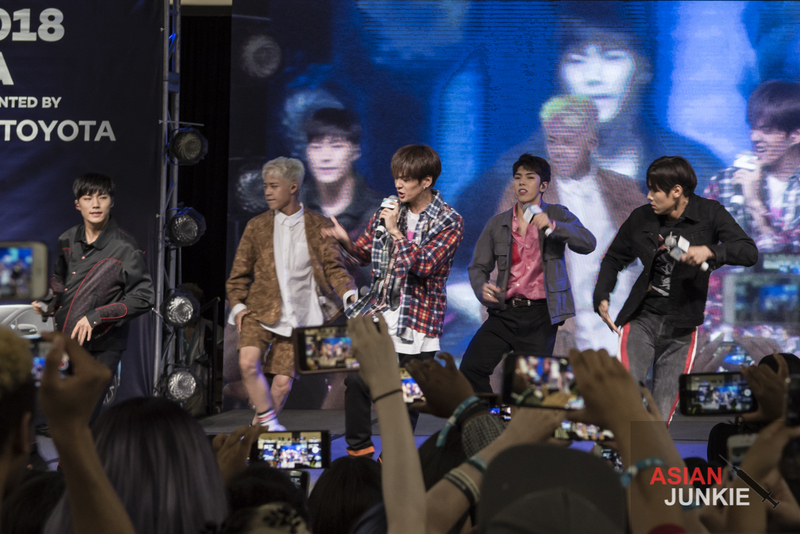 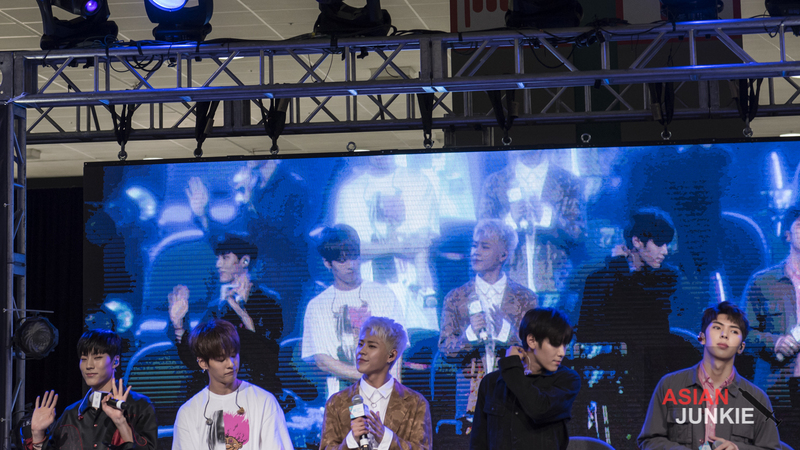 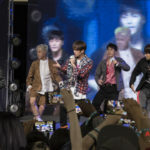 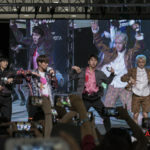 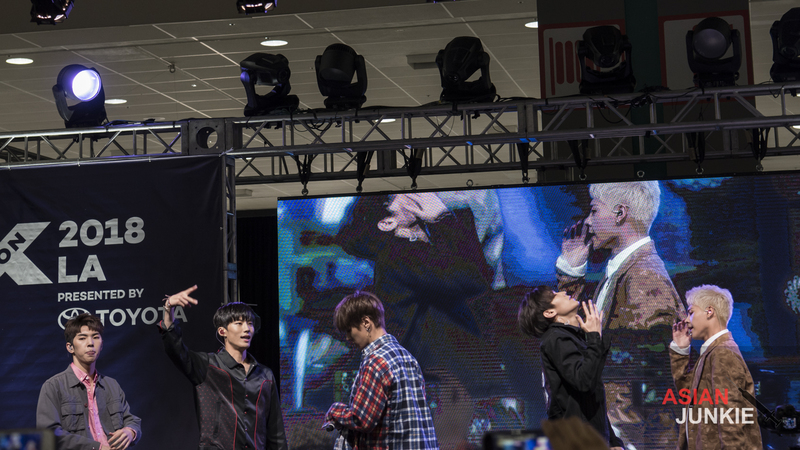 Taeho, Sang, Jian, Ungjae, and Jeup took to the stage and went right into performance mode. 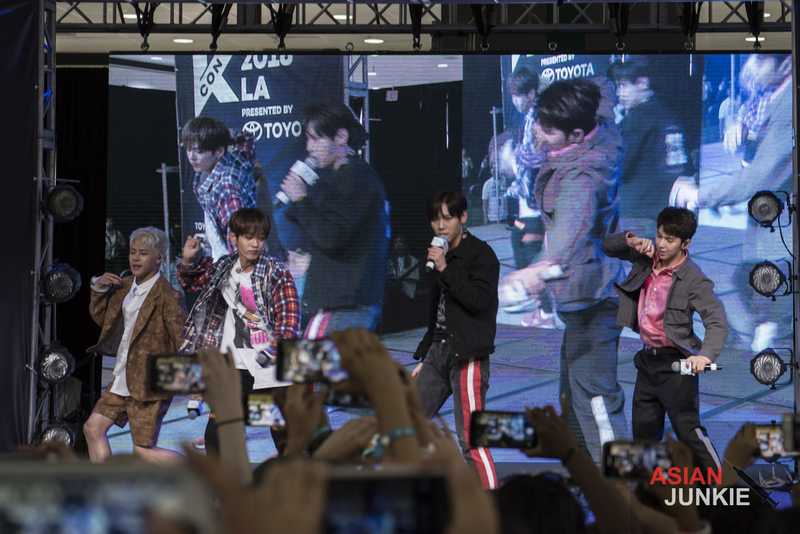 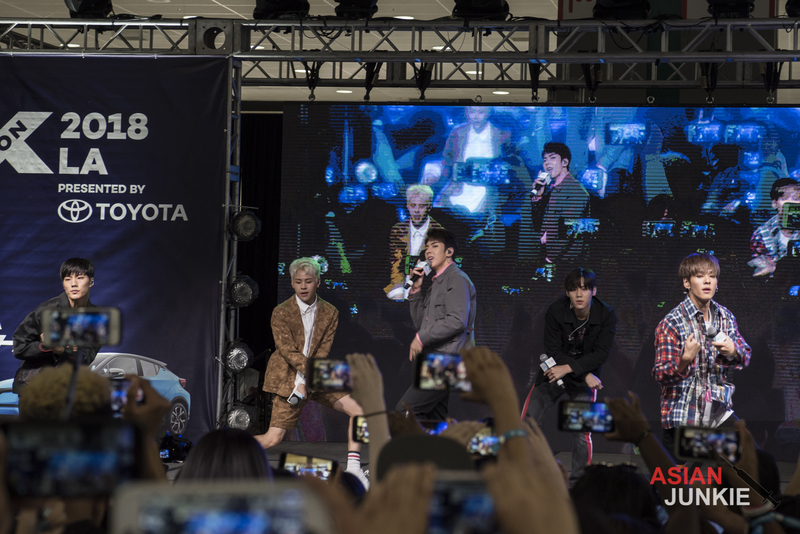 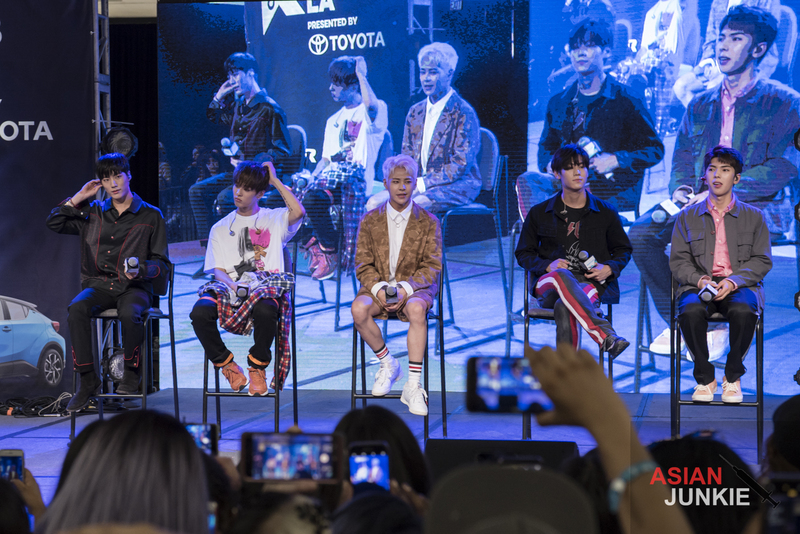 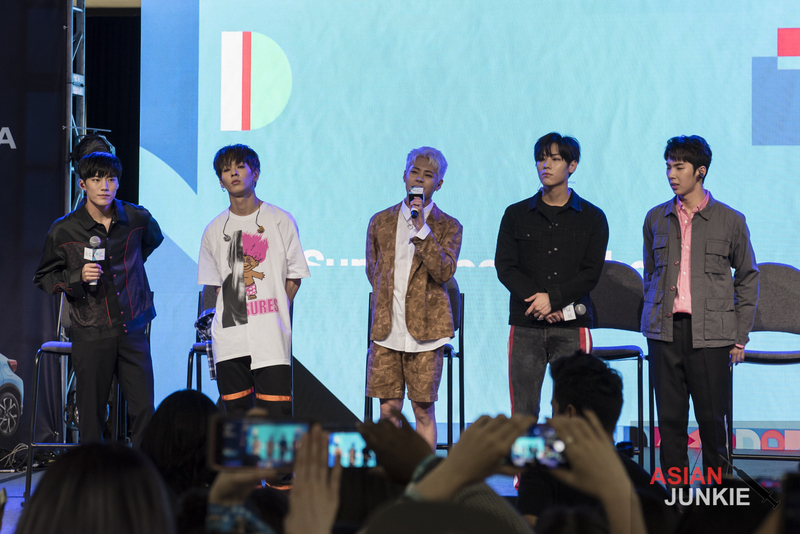 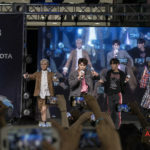 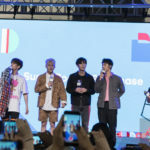 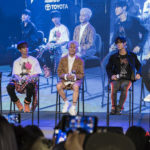 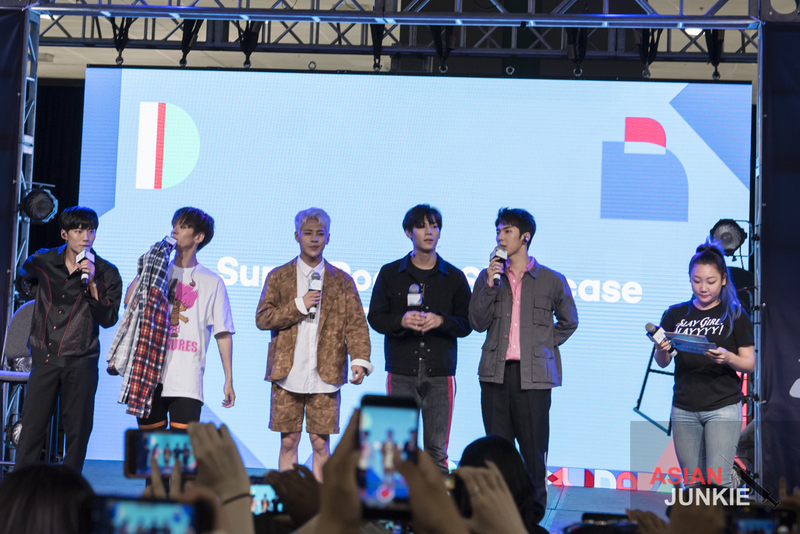 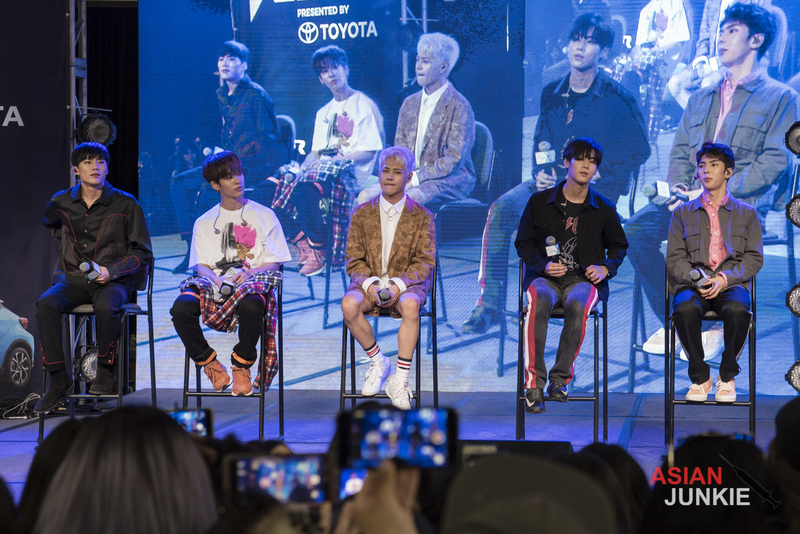 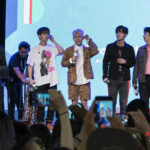 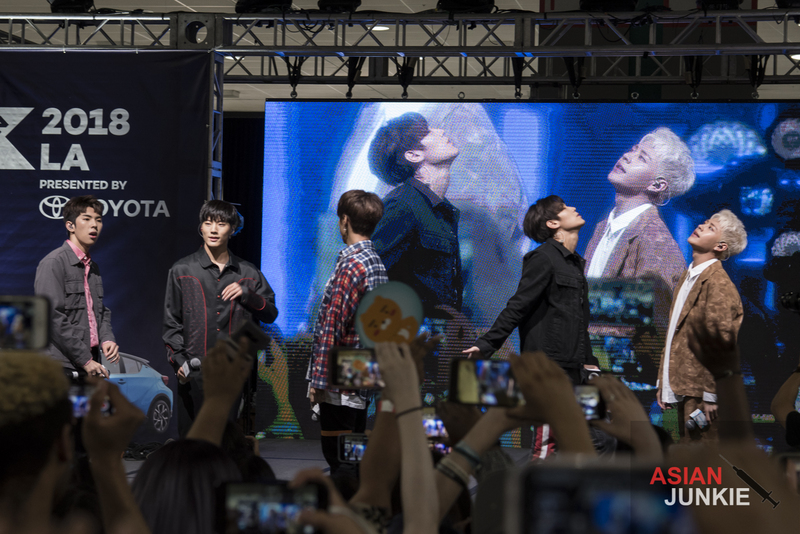 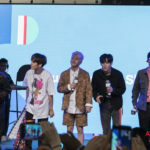 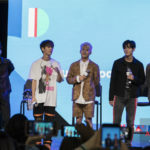 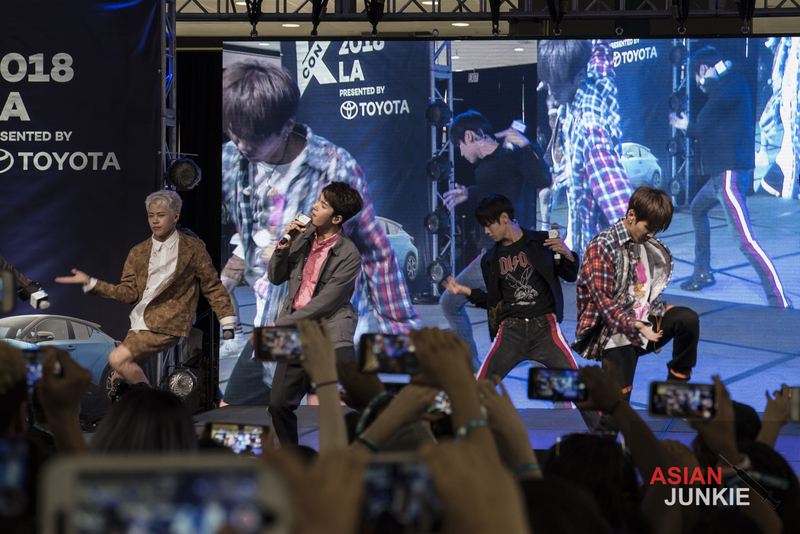 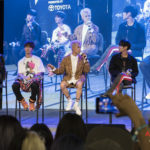 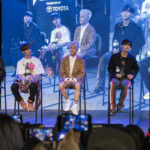 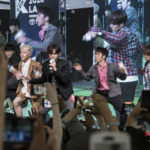 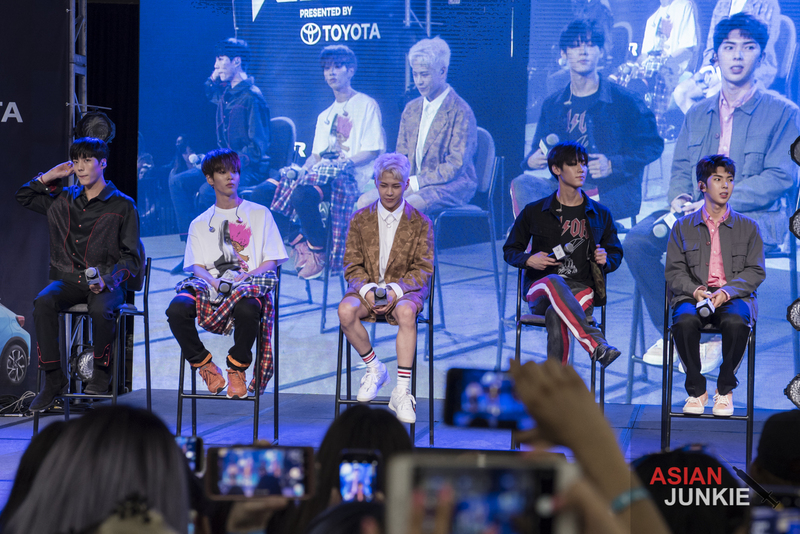 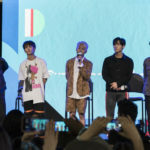 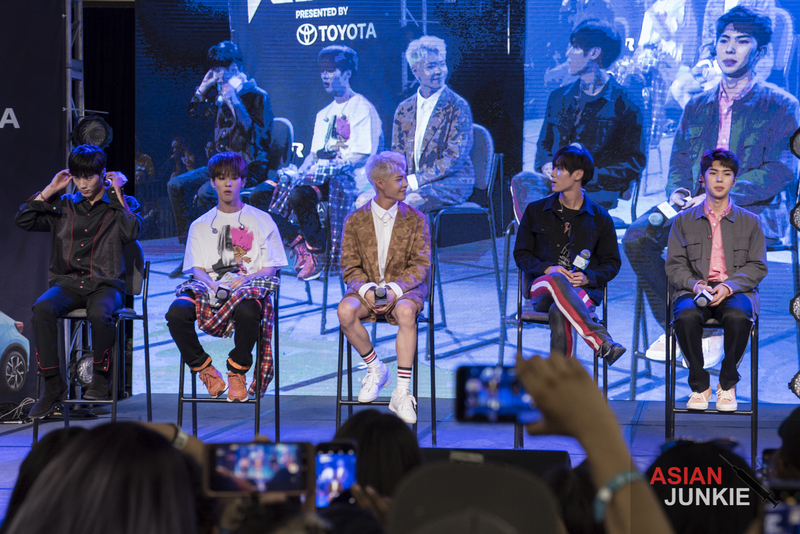 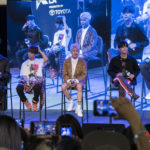 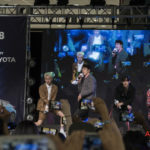 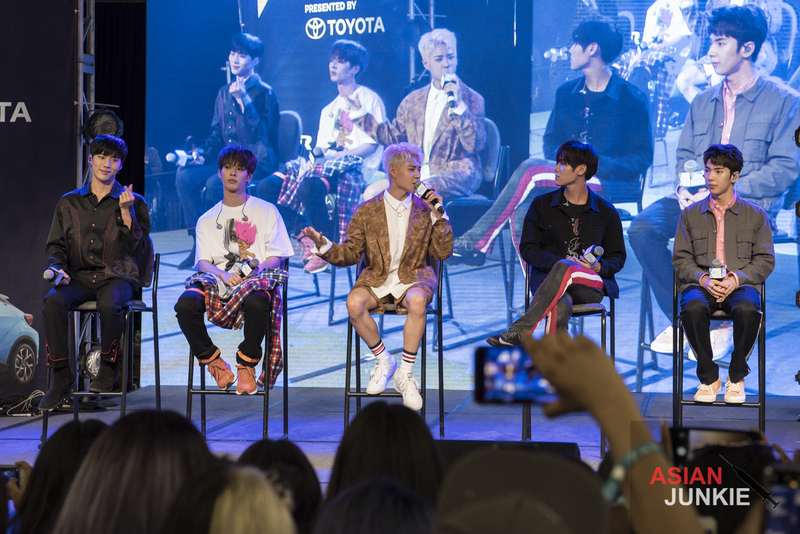 They performed “In The Club” and “The Light“, answered the basic questions, expressed how happy they were to be in LA and to meet their international fans and teased the fact that they were going to debut a new song on the main stage on Sunday night. 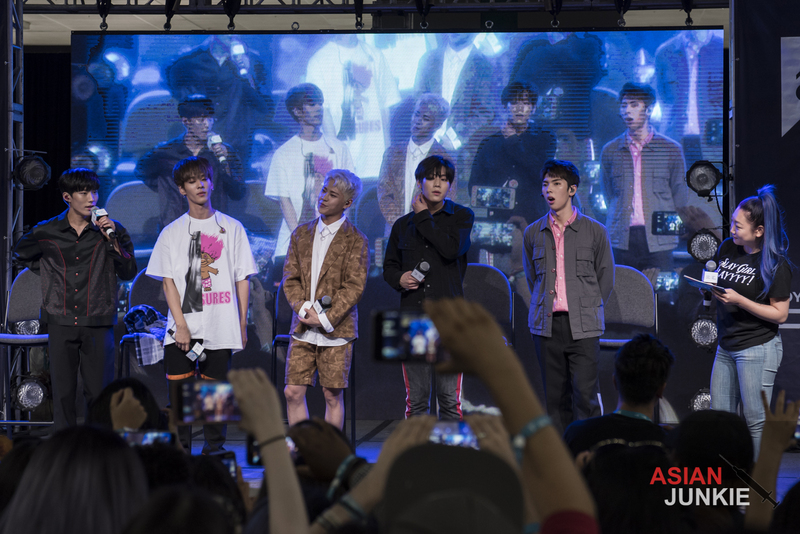 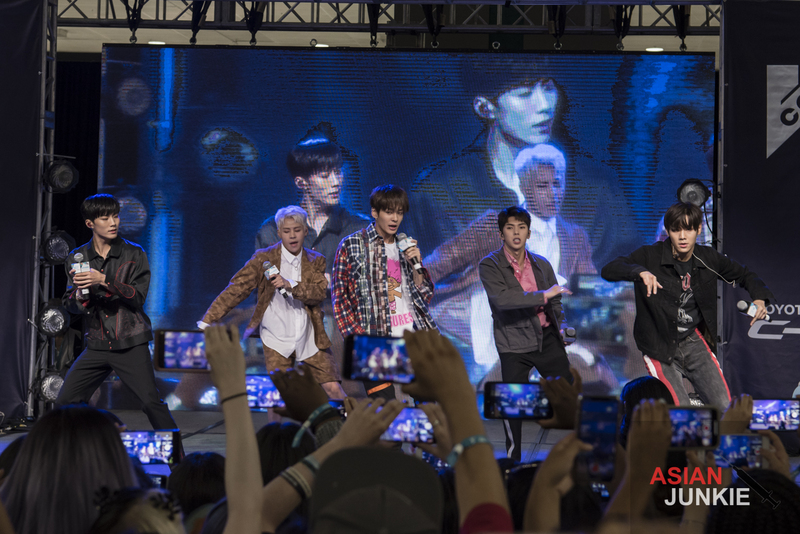 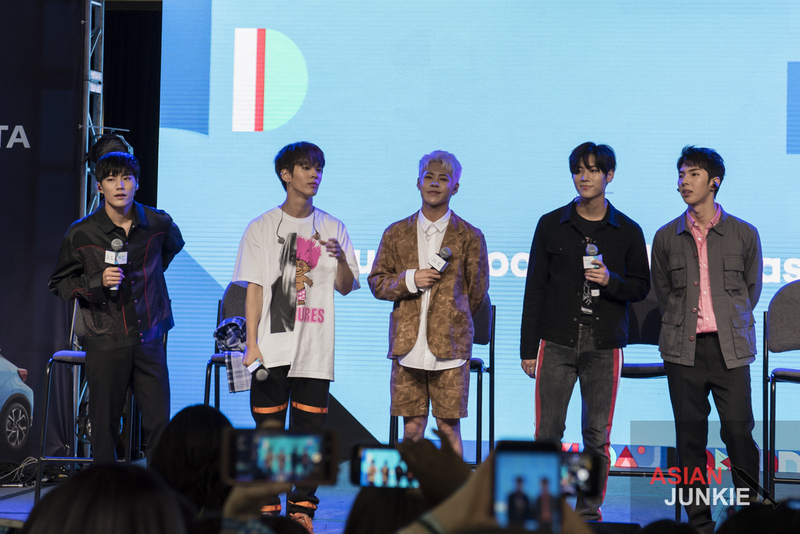 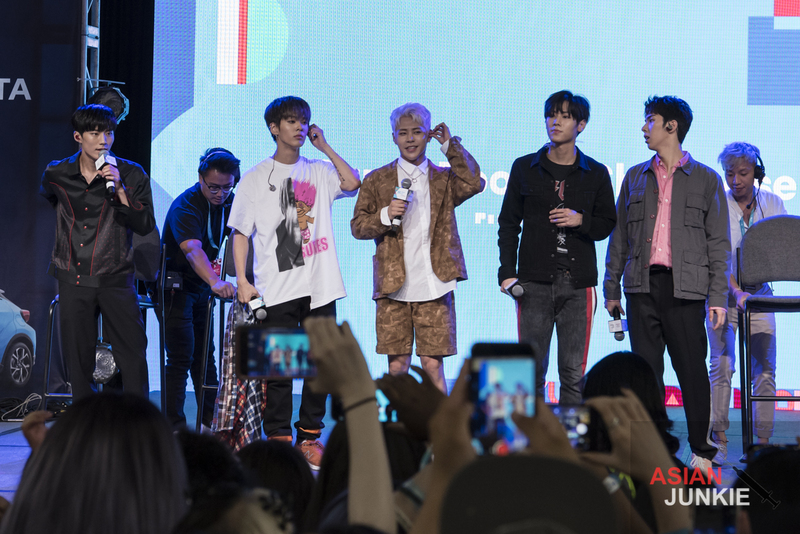 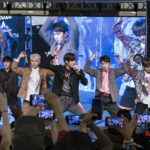 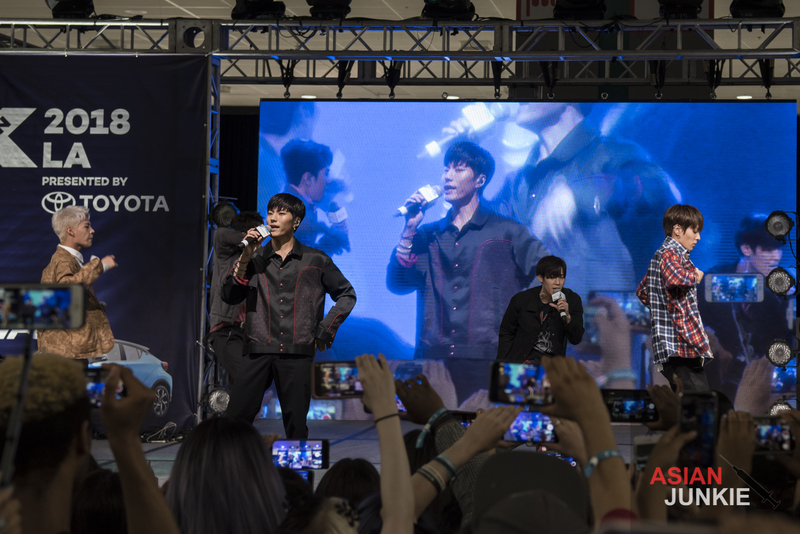 On the main KCON stage, we were not only surprised by a definitely more mature (and shirtless!?) 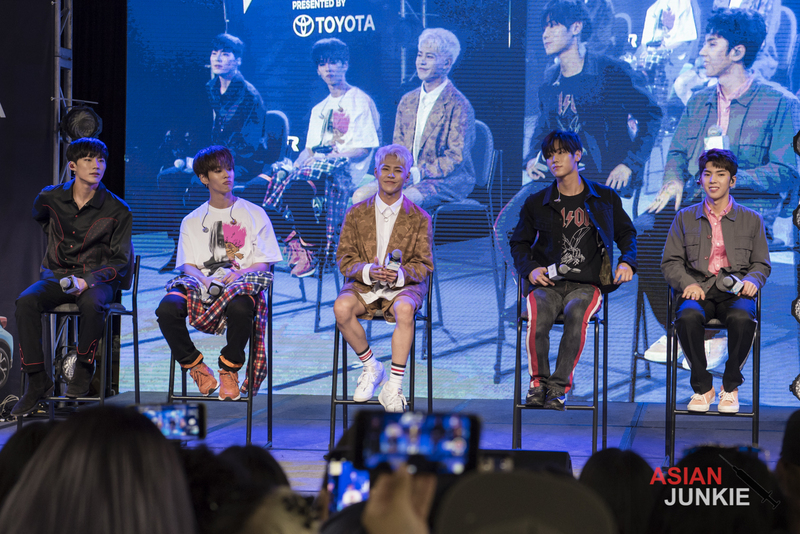 version of IMFACT, but we were delighted with the debut of “NANANA” which turned out to be the bop of the night! 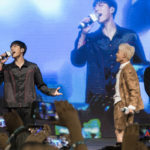 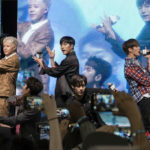 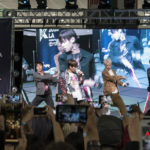 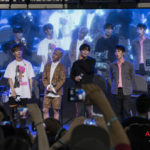 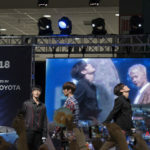 There was a collective sigh as they performed with their newer more aggressive sound and visuals, and the Staples Center filled with cheers and screams of new fans who were now about to spend the next week dedicating their lives to this new group. 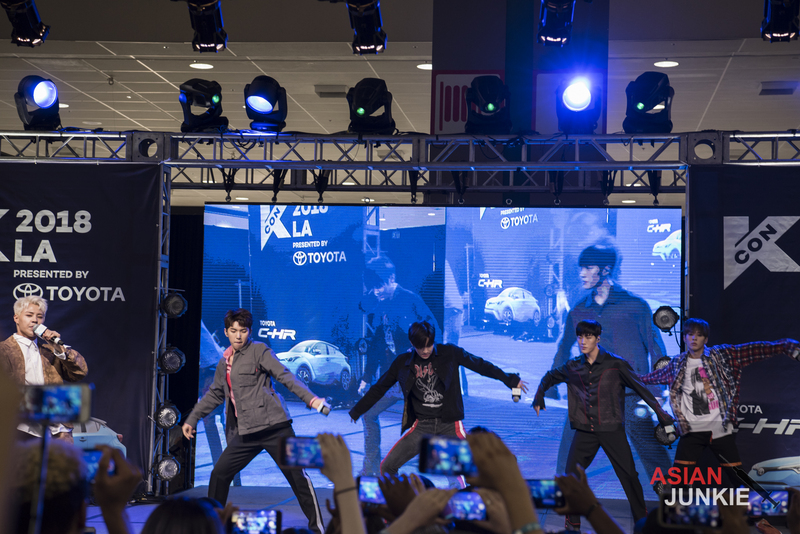 They debuted the track on the KCON stage and then dropped the video on YouTube. 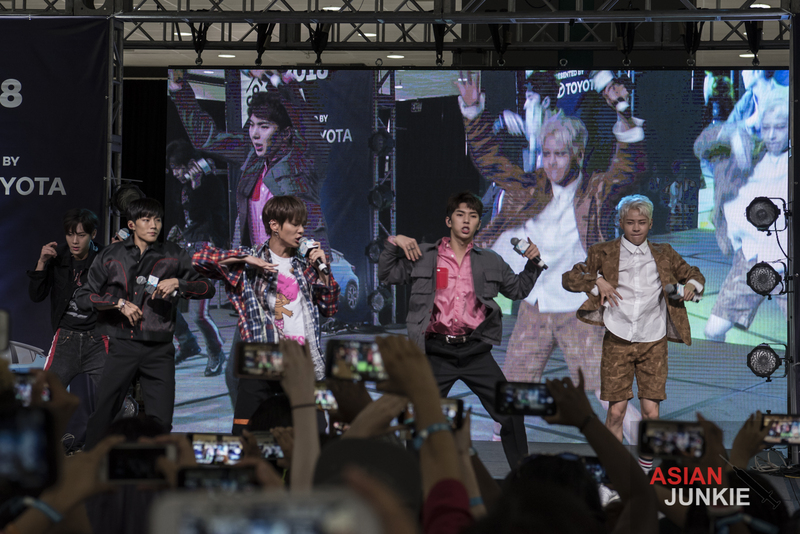 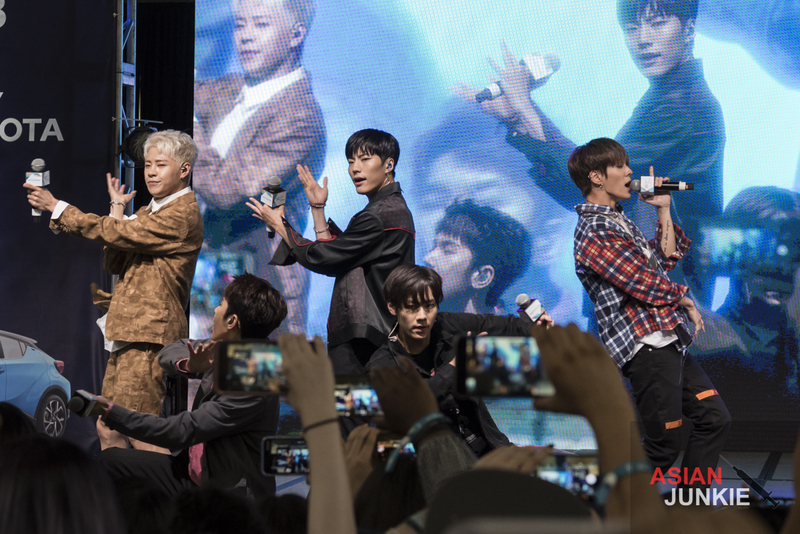 With this new found support, one can only hope IMFACT will get to do a full tour internationally and show us really what they got (preferably more abs).